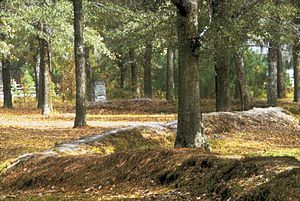 The Battle of Sullivan’s Island or the Battle of Fort Sullivan was fought on June 28, 1776, during the American Revolutionary War, also known as the American War of Independence. 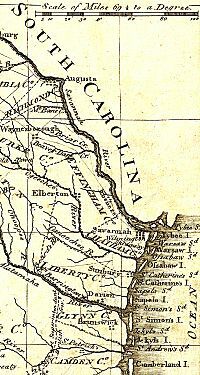 It took place near Charleston, South Carolina, during the first British attempt to capture the city from American rebels. It is also sometimes referred to as the First Siege of Charleston, owing to a more successful British siege in 1780. The British organized an expedition in early 1776 for operations in the rebellious southern colonies of North America. Delayed by logistical concerns and bad weather, the expedition reached the coast of North Carolina in May 1776. Finding conditions unsuitable for their operations, General Henry Clinton and Admiral Sir Peter Parker decided instead to act against Charleston. Arriving there in early June, troops were landed on Long Island, near Sullivan’s Island where Colonel William Moultrie commanded a partially constructed fort, in preparation for a naval bombardment and land assault. The land assault was frustrated when the channel between the two islands was found to be too deep to wade, and the American defenses prevented an amphibious landing. 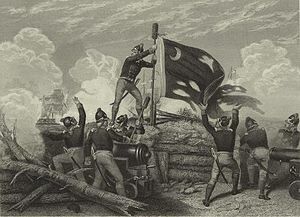 The naval bombardment had little effect due to the sandy soil and the spongy nature of the fort’s palmetto log construction. Careful fire by the defenders wrought significant damage in the British fleet, which withdrew after an entire day’s bombardment. The British withdrew their expedition force to New York, and did not return to South Carolina until 1780. When the American Revolutionary War broke out in 1775, the city of Charleston in the colony of South Carolina was a center of commerce in southern North America. The city’s citizens joined other colonists in opposing the British parliament’s attempts to tax them, and militia recruitment increased when word arrived of the April 1775 Battles of Lexington and Concord. Throughout 1775 and into 1776, militia recruits arrived in the city from the colony’s backcountry, the city’s manufacturers and tradesmen began producing war materiel, and defensive fortifications began to take shape around the city. The plan was beset by difficulties from the start. The Irish expedition, originally supposed to depart at the beginning of December 1775, was delayed by logistical difficulties, and its 2,500 troops did not depart until February 13, 1776, escorted by 11 warships under the command of Admiral Sir Peter Parker. Clinton left Boston on January 20 with two companies of light infantry, and first stopped at New York City to confer with William Tryon, New York’s royal governor. Major General Charles Lee, sent by Major General George Washington to see to the defense of New York, coincidentally arrived there the same day as Clinton. New York was at that time extremely tense; Patriot forces were beginning to disarm and evict Loyalists, and the British fleet anchored there was having difficulty acquiring provisions. Despite this, Clinton made no secret that his final target was in the south. Lee observed that this was “certainly a droll way of proceeding; to communicate his full plan to the enemy is too novel to be credited.” This was not even the first notice of the expedition to the colonists; a letter intercepted in December had already provided intelligence that the British were planning to go to the South. Clinton arrived at Cape Fear on March 12, expecting to find the European convoy already there. He met with the royal governors of North and South Carolina, Josiah Martin and William Campbell, and learned that the recruited Scottish Loyalists had been defeated at Moore’s Creek Bridge two weeks earlier. Clinton also received pleas for assistance from the royal governor of Georgia, James Wright, who had been arrested, and then escaped to a navy ship. Parker’s fleet had an extremely difficult crossing. Battered by storms and high seas, the first ships of the fleet did not arrive at Cape Fear until April 18, and Cornwallis did not arrive until May 3. 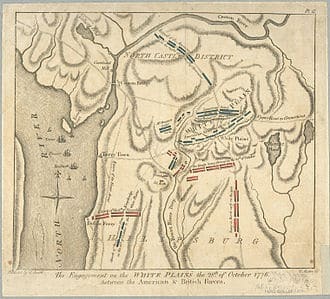 After several weeks there, in which the British troops raided Patriot properties, Clinton, Cornwallis and Parker concluded that Cape Fear was not a suitable base for further operations. Parker had sent out some ships on scouting expeditions up and down the coast, and reports on the partially finished condition of the Charleston defenses were sufficiently promising that the decision was made to go there. John Rutledge, recently elected president of the General Assembly that remained as the backbone of South Carolina’s revolutionary government, organized a defense force under the command of 46-year-old Colonel William Moultrie, a former militiaman and Indian fighter. These forces comprised three infantry regiments, two rifle regiments, and a small artillery regiment; they were augmented by three independent artillery companies, and the total force numbered about 2,000. These forces were further augmented by the arrival of Continental regiments from North Carolina and Virginia (1,900 troops), as well as militia numbering 2,700 from Charleston and the surrounding backcountry. Moultrie saw Sullivan’s Island, a sandy spit of land at the entrance to Charleston Harbor extending north about 4 miles (6.4 km) long and a few hundred yards wide, as a place well suited to build a fort that could protect the entrance from intruding enemy warships. A large vessel sailing into Charleston first had to cross Charleston Bar, a series of submerged shoals lying about 8 miles (13 km) southeast of the city, and then pass by the southern end of Sullivan’s Island as it entered the channel to the inner harbor. Later it would also have to pass the northern end of James Island, where Fort Johnson commanded the southeastern approach to the city. Moultrie and his 2nd South Carolina Regiment arrived on Sullivan’s Island in March 1776, and began construction of a fortress to defend the island and the channel into Charleston Harbor. The construction moved slowly; Captain Peter Horry of the Patriot naval detachment described the site as a “an immense pen 500 feet long, and 16 feet wide, filled with sand to stop the shot”. The gun platforms were made of planks two inches thick and fastened with wooden spikes. Congress had appointed General Lee to command the Continental Army troops in the southern colonies, and his movements by land shadowed those of Clinton’s fleet as it sailed south. Lee wrote from Wilmington on June 1 that the fleet had sailed, but that he did not know whether it was sailing for Virginia or South Carolina. He headed for Charleston, saying “[I] confess I know not whether I shall go to or from the enemy.” He arrived in Charleston shortly after the fleet anchored outside the harbor, and took command of the city’s defenses. He immediately ran into a problem: the South Carolina troops (militia or the colonial regiments) were not on the Continental line, and thus not formally under his authority. Some South Carolina troops resisted his instructions, and Rutledge had to intervene by proclaiming Lee in command of all South Carolina forces. Square-shaped Fort Sullivan consisted only of the completed seaward wall, with walls made from palmetto logs 20 feet (6.1 m) high and 16 feet (4.9 m) wide. The walls were filled with sand, and rose 10 feet (3.0 m) above the wooden platforms on which the artillery were mounted. A hastily erected palisade of thick planks helped guard the powder magazine and unfinished northern walls. An assortment of 31 cannon, ranging from 9- and 12-pounders to a few British 18-pounders and French 26-pounders, dotted the front and rear walls. General Lee, when he had seen its unfinished state, had recommended abandoning the fort, calling it a “slaughter pen”. President Rutledge refused, and specifically ordered Colonel Moultrie to “obey [Lee] in everything, except in leaving Fort Sullivan”. Moultrie’s delaying tactics so angered Lee that he decided on June 27 that he would replace Moultrie; the battle began the next day before he could do so. The British fleet weighed anchor at Cape Fear on May 31, and arrived outside Charleston Harbor the next day. Moultrie noticed a British scout boat apparently looking for possible landing points on nearby Long Island, just a few hundred yards from Sullivan’s Island; troops were consequently sent to occupy the northern end of Sullivan’s. By June 8, most of the British fleet had crossed the bar and anchored in Five Fathom Hole, an anchorage between the bar and the harbor entrance. With the fort on Sullivan’s Island only half complete, Admiral Parker expressed confidence that his warships would easily breach its walls. Optimistically believing he would not even need Clinton’s land forces, he wrote to Clinton that after the fort’s guns were knocked out, he would “land seamen and marines (which I have practiced for the purpose) under the guns” and that they could “keep possession till you send as many troops as you think proper”. The British fleet was composed of nine man-of-war ships: the flagship 50-gun Bristol, as well as the 50-gun Experiment and frigates Actaeon, Active, Solebay, Siren, Sphinx, Friendship, and the bomb vessel Thunder, in total mounting nearly 300 cannon. The army forces in the expedition consisted of the 15th, 28th, 33rd, 37th, 54th, and 57th Regiments of Foot, and part of the 46th. On June 7, Clinton issued a proclamation calling on the rebel colonists to lay down their arms. However, the inexperienced defenders fired on the boat sent to deliver it (which was flying a truce flag), and it was not delivered until the next day. That same day, Clinton began landing 2,200 troops on Long Island. The intent was that these troops would wade across the channel between Long and Sullivan’s, which the British believed to be sufficiently shallow to do so, while the fleet bombarded Fort Sullivan. General Lee responded to the British landing with several actions. He began reinforcing positions on the mainland in case the British were intending to launch an attack directly on Charleston. He also attempted to build a bridge of boats to provide an avenue of retreat for the fort’s garrison, but this failed because there were not enough boats to bridge the roughly one mile (1.6 km) channel separating the island from Charleston; the unwillingness of Moultrie and Rutledge to support the effort may also have played a role. The Americans also constructed an entrenchment at the northern end of Sullivan’s Island, which was manned by more than 750 men and three small cannons, and began to fortify a guard post at Haddrell’s Point on the mainland opposite Fort Sullivan. General Clinton encountered the first major problem of the attack plan on June 17. An attempt to wade the channel between the two islands established that part of the channel was at least shoulder-deep, too deep for troops to cross even without the prospect of enemy opposition. He considered using boats to ferry the troops across, but the Americans, with timely advice from General Lee, adopted a strong defensive position that was virtually impossible to bombard from ships or the Long Island position. As a result, the British and American forces faced each other across the channel, engaging in occasional and largely inconsequential cannon fire at long range. Clinton reported that this meant that Admiral Parker would have “the glory of being defeated alone.” The attack was originally planned for June 24, but bad weather and contrary wind conditions prompted Parker to call it off for several days. General Clinton began movements to cross over to the northern end of Sullivan’s Island. Assisted by two sloops of war, the flotilla of longboats carrying his troops came under fire from Colonel William Thomson’s defenses. Facing a withering barrage of grape shot and rifle fire, Clinton abandoned the attempt. At the fort, Moultrie ordered his men to concentrate their fire on the two large man-of-war ships, the Bristol and Experiment, which took hit after hit from the fort’s guns. Chain shot fired at the Bristol eventually destroyed much of her rigging and severely damaged both the main- and mizzenmasts. One round hit her quarterdeck, slightly wounding Parker in the knee and thigh. The shot also tore off part of his britches, leaving his backside exposed. By mid-afternoon, the defenders were running out of gunpowder, and their fire was briefly suspended. However, Lee sent more ammunition and gunpowder over from the mainland, and the defenders resumed firing at the British ships; Lee even briefly visited the fort late in the day, telling Colonel Moultrie, “I see you are doing very well here, you have no occasion for me, I will go up to the town again.” Admiral Parker eventually sought to destroy the fort’s walls with persistent broadside cannonades. This strategy failed due to the spongy nature of the palmetto wood used in its constructions; the structure would quiver, and it absorbed the cannonballs rather than splintering. The exchange continued until around 9:00 pm, when darkness forced a cessation of hostilities, and the fleet finally withdrew out of range. At one point during the battle, the flag Moultrie had designed and raised over the fort was shot down. Sergeant William Jasper reportedly ran to the battlement and raised the flag again, holding it up and rallying the troops until a flag stand could be provided. He was credited by Moultrie with reviving the troops’ spirits, and later given commendations for bravery. A painting of this event (pictured above) depicts Jasper’s actions. Counting casualties, Parker reported 40 sailors killed and 71 wounded aboard the Bristol, which was hit more than 70 times with much damage to the hull, yards, and rigging. The Experiment was also badly damaged with 23 sailors killed and 56 wounded. The Active and Solebay reported 15 casualties each. The Americans reported their casualties at only 12 killed and 25 wounded. The following morning, the British, unable to drag the grounded Acteon off the sandbar, set fire to the ship to prevent her from falling into enemy hands. Patriots in small boats sailed out to the burning ship, fired some of its cannons at the British ships, took what stores and loot they could, and retreated shortly before the ship’s powder magazine exploded. Admiral Parker and General Clinton engaged in a war of words after the battle, each seeking to cast the blame on the other for the expedition’s failures. Although Clinton was not blamed by the government, popular opinion held him responsible, and Parker was lauded for his personal bravery. Fort Sullivan was renamed Fort Moultrie shortly after the battle to honor Colonel William Moultrie for his successful defense of the fort and the city of Charleston. Extensively modified in the years after the battle, it was supplanted by Fort Sumter as the principal defense of Charleston prior to the outbreak of the American Civil War. The site was turned over to the National Park Service in 1960, and is now part of Fort Sumter National Monument.